Well what do you know, but today is Tuesday and yet another day in January, when will summer be here, its too cold! Well, enough complaining and stop worrying about the hot humid summer because it is January 25, 2011 and we have your Daily Noontime, so enjoy! 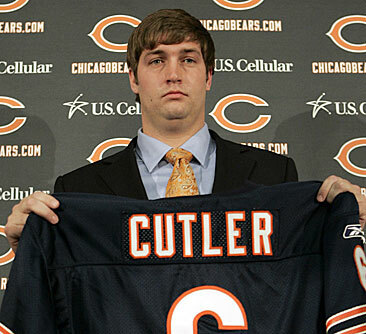 * Chicago Bears quarterback Jay Culter may have sprained his MCL, but really, did he also prove that he isn’t a tough NFL player? * Former NFL star, Herschel Walker still believes that he can indeed play football, especially at the age of 48. * What are your thoughts on an NFL fan wearing a Green Bay Packers tie, especially in Chicago? Well, whatever you think is fine, but he got fired! * Armando Galarraga has been traded from the Detroit Tigers to the Arizona Diamondbacks, good or bad trade? * Chaos at UConn: Boosters vs. the Athletics Department over money, but who will win? Kevin Durant is impressive, but how about this? Not bad, eh?